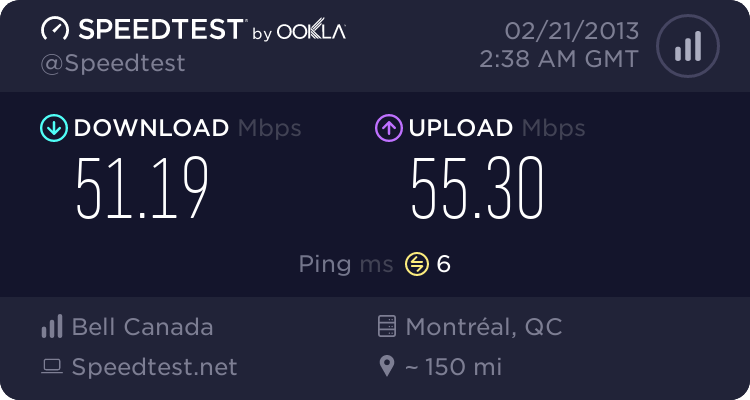 On my brand new 50mbits optic fiber internet. Let me know if anything goes wrong or whatever. Woot to the new server ..
Looks like a pretty sweet server. Thanks for bringing up another one! I give him a week, then the bitching starts again. From time to time there are issues across all the servers, which usually doesn't last long. I agree zerolags are the worst of the lot at random times, but generally playable for me on my craptastic dsl and dinosaur comp. I've been a lot happier now that I just leave anytime I get a zerolag game, since they are by far the worst. Bit of an ironic name, really :/ The Linux games seem to be by far the best - I haven't ran into this new server yet. Giving you a heads up .. Getting some strange lag at times.. Like twitchs..